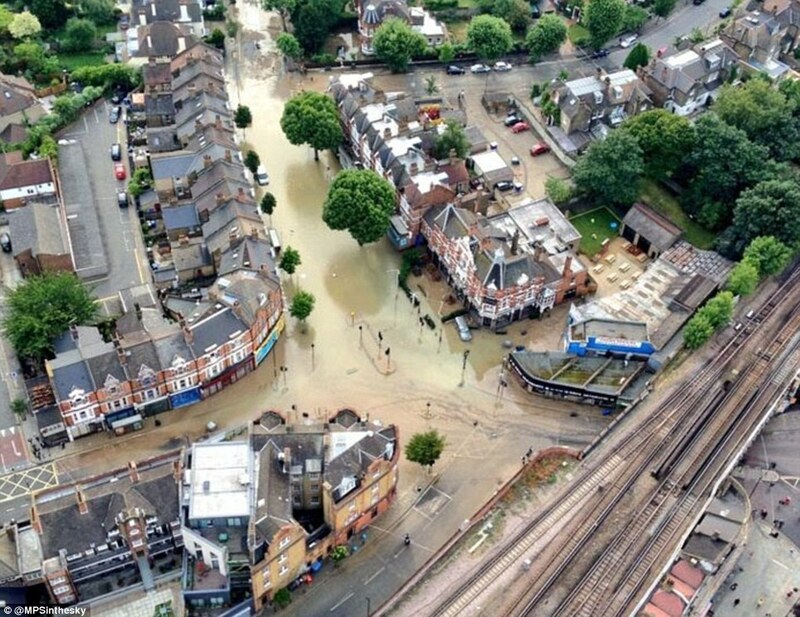 The centre of a London suburb woke up under a metre water this morning after a burst water main caused chaos. 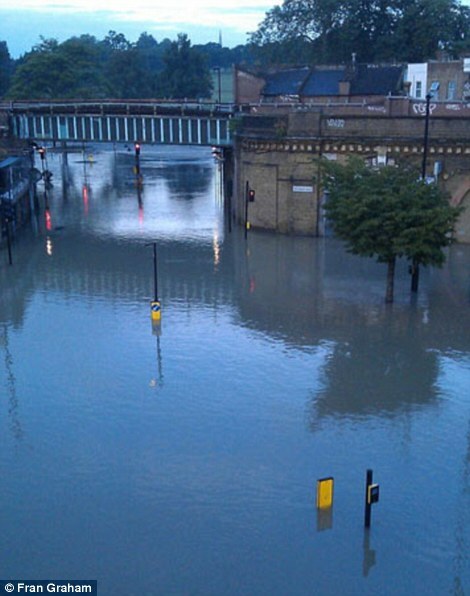 Firefighters and paramedics were called to Herne Hill in south London at 5.30am this morning after water began rising above waist height. 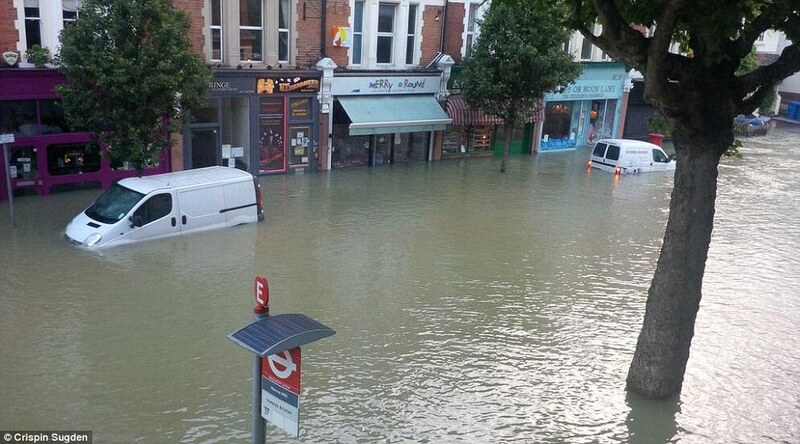 Cars, bus stops and shops are half-submerged at the junction of Herne Hill and Half Moon Lane, where people in 36 homes were stuck. Residents have been forced to stay indoors while other trying to get to work waded through the flood carrying people on their backs. 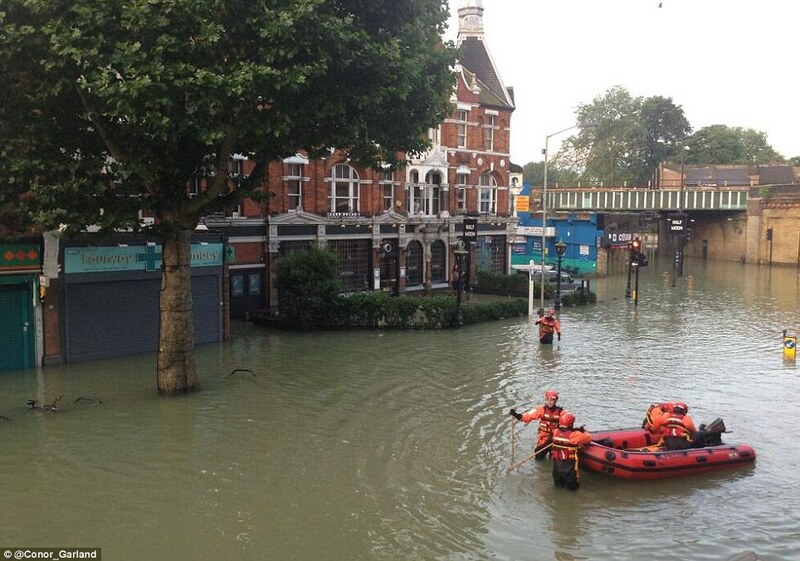 The fire service even brought in a boat to help deal with the emergency. 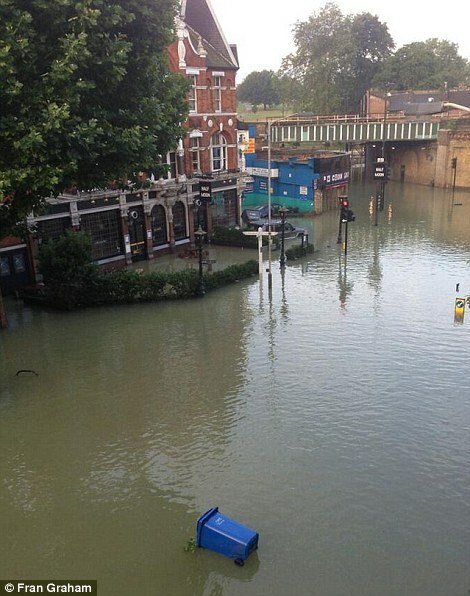 The service said the large water main had been switched off and the water was slowly receding. 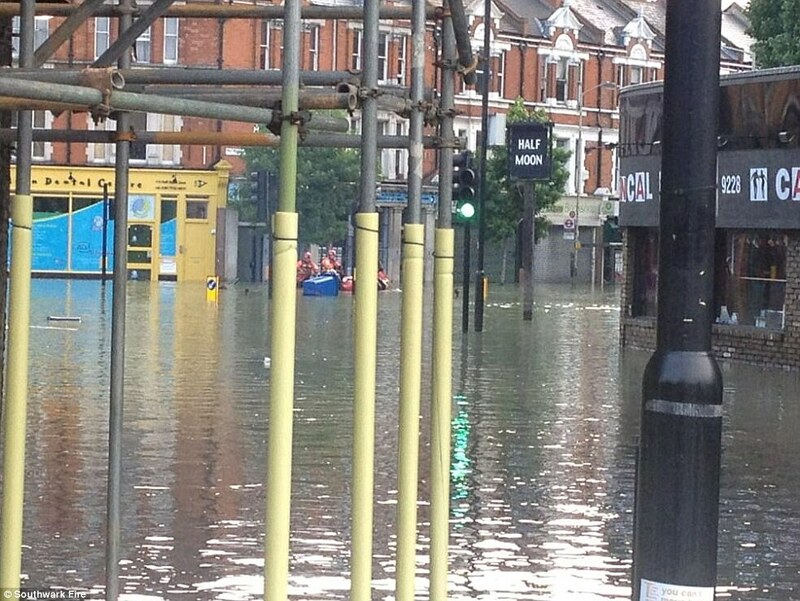 A spokesman said: 'Our crews are well equipped to deal with floods, and we have lots of specialist skills and equipment used at the scenes of incidents like this one. 'The most important thing for us is making sure that people are safe, so people who live in the affected street are being advised to stay in their homes until the water is cleared.